The Ernie Award was donated by a past Ernie rider’s family to celebrate the awesome horse. ​2018 Ernie Award Winner Linda Rogers! • To encourage trainers and their students to participate in CDCTA clinics, symposiums and shows. • A space to identify a rider’s trainer will be added to all CDCTA clinic, symposium and show entry forms. • Points will be tracked by a CDCTA official and tallied for the annual awards ceremony. • The trainer with the highest number of students who have participated in CDCTA clinics, symposiums and shows will win the CDCTA Trainer of the Year Award. • One point will also be earned for every person that volunteers with any CDCTA activity. AWARD: The award will be a $100 check to the trainer. • The trainer must be a current CDCTA member at the time his/her students participate in the show/clinic/symposium in order for the points to count towards their overall tally. Dressage High Point Young Thoroughbred Award- The Jockey Club T.I.P. 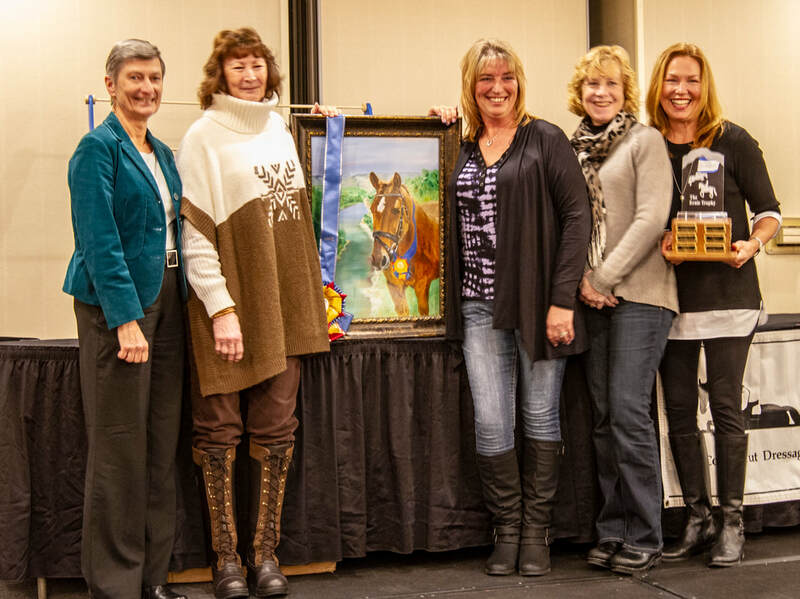 High Point Young Thoroughbred Award will be given to the highest placing Thoroughbred at the competition (regardless of division) that is in its first or second year of showing. Green OTTB High Point Award (all divisions)- The Jockey Club T.I.P. Green OTTB High Point Award will be given to the highest placing Thoroughbred at the competition (regardless of division/discipline) that raced within the past two years.